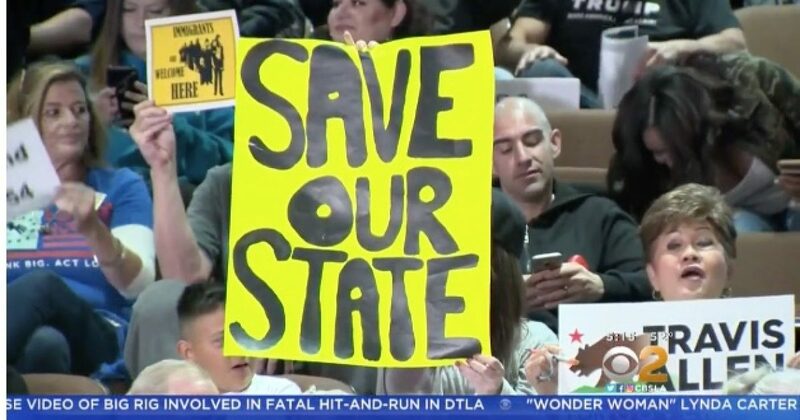 Another city joined the revolution against California sanctuary state status. Huntington Beach voted to sue California over its sanctuary state law. The Huntington Beach City Council voted 6 to 1 to sue the state over SB 54 — the Senate bill that would protect undocumented immigrants by limiting the cooperation between local police and ICE agents. Los Alamitos, California, was the first city to initiate the revolt. San Diego County might join the rebellion effort as well. San Diego County is likely to join the Trump administration’s lawsuit against California’s so-called sanctuary state laws, a “cautiously optimistic” Supervisor Dianne Jacob told Fox News Channel Monday. Jacob said she believes the Board of Supervisors will vote at least 3-2 in support of the lawsuit, which it is set to discuss in a closed-door meeting with the county attorney on April 17. Momentum is building to fight the state over a law allowing criminal illegal aliens on the streets.